The mother of Pat Tillman--football star, Army ranger and casualty of war--reflects on how the Pentagon has distorted the truth and the NFL has exploited the tragedy. 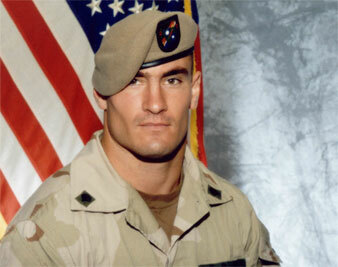 “If it had happened to someone else, Pat would be busting through walls to find the truth,” said Mary Tillman, mother of Pat Tillman–NFL player, Army ranger and casualty of war. Pat Tillman was killed in Afghanistan under shadowy circumstances that still pose more questions than answers. The media initially reported that Pat was killed by the Taliban. Weeks later it was revealed that it was a case of “friendly fire.” Now, after four years, six investigations and two Congressional hearings, questions still linger about how Pat died, why it was covered up and who, in fact, knew. Mary Tillman and her very private family are determined to go through whatever walls are in front of them, in a lonely quest for the truth. They want to expose the cover-up surrounding Pat’s death. They also want to expose a criminal administration, an illegal war in Iraq and the way organizations like the NFL have been quick to exploit Pat’s memory while doing nothing to help search for the truth. Speaking with Tillman about her new book, Boots on the Ground by Dusk: My Tribute to Pat Tillman, I found not a just a grieving parent, but a fierce advocate, a fighter with the kind of steady strength that is simply humbling. What are some of the reasons that you wrote the book? I wanted the public to understand what the military and government had done in trying to use Pat as a propaganda tool for the purposes of basically deflecting attention away from the serious things that were happening in the month of April 2004–such as Abu Ghraib, Fallujah, the President’s approval ratings and the rising casualties; and also to use him as a martyr to rally support and patriotic feeling for the war in Iraq. How do you explain to yourself the extraordinary lengths that the Pentagon went to in order to cover up the circumstances of Pat’s death? I think that they thought his death would be relatively easy to cover up, once they destroyed the evidence. They destroyed his uniform, and his equipment. And I think they thought that was sufficient, and they didn’t realize that Pat’s body was also evidence, in itself, that he had been killed by US rounds… He also had a military journal, as they all do, and Kevin requested that. (Kevin’s his brother, they were in the same platoon.) He requested to have it back, and we were just told that they couldn’t find it. So for two years we were just told that it was missing. And then after the belated criminal investigation was completed, we had a briefing and we were told that in fact the journal had been burned. Kevin, of course, asked why was it burned and they said that, “Well, it had tactical information in it” that was secretive or clandestine. I’ve talked to so many military people of many ranks, retired and everything else, and they all say that’s absurd. If that were the case then they would confiscate the journals of every soldier after every mission. Is it true that Pat, towards the end of his life, was starting to develop doubts about the war? He always had doubts about the war in Iraq. Most of us did. I think very many people had doubts about it. They enlisted because of the events of September 11, and it was within weeks or a month or so after they enlisted that the President told the public his plans. You know, if people were really following progressive information, on the Internet, things like that, we would have known; by reading Al-Jazeera, TruthOut, things like that that, we would have known that this is in the works. Your son Kevin has come out publicly against the war, sentiments he has expressed in an article he wrote not long after Pat’s birthday. Are those sentiments that you share? Oh, definitely. What’s so disturbing about after Pat’s death is the way the media ran with the perception they had of him, some kind of caricature of who they thought he was. It was so off that it was like he died twice. And it was very offensive because people just jumped to conclusions, they never talked to him once, they never read anything about him. He was very complicated. He had many views, and he read constantly, and he was very curious. So that kind of thing was quite offensive….He made lots of mistakes like most people along the way, but he tried to learn from them. He definitely was not in favor of the war in Iraq. That is true and that caused concern for us after he was killed. And when the information looks so suspicious and so contradictory–we were concerned that he could have been killed on purpose. Is that something you believe at this point? It’s possible, I suppose, to a tiny degree. But I think we’ve pretty much eliminated that simply because after looking at these documents for four years and being able to talk to more of the soldiers as they gradually get out of the military it’s pretty clear that these soldiers were grossly negligent. I mean, they should have been court-martialed. But that would have meant much more embarrassment–at least they thought it would be too much embarrassment; I think this has proven to be much worse. They thought that it would be too embarrassing at the time to have this come out. And it would have…been embarrassing for the chain of command. So, on many levels, there are reasons that they would want to keep this quiet. I want to ask about John McCain, because I’ve heard he’s been very helpful with trying to get the truth out about Pat. Is that true? He was very helpful initially, but I think that he believed that the situation probably wasn’t nefarious at all and that the family would get the answers. But that wasn’t the case. The investigation that he helped us get actually caused us to have more questions and at that point he started backing off. I think he thought that we were becoming sort of a political encumbrance to him, or could be. He has said that the basis on which he will be elected or not will be the progress made in the war in Iraq. Obviously, talking about your case brings attention to everything that is so corrupt about the war. Absolutely. And since we held the Administration in question and it’s an administration that he has stood by, it would be very awkward for him. He definitely eased out of the situation. He didn’t blatantly say he wouldn’t help us, it’s just that it became clear that he kind of drifted away. And, you know, I didn’t want to push it, so I just looked elsewhere for help. If John McCain were here right now, what would be one thing that you would like to say to him? I respect the fact that Cindy Sheehan did what she did. She certainly brought attention to the war. But the problem is, with my case, and in the family’s case in regards to Pat was that he was so high-profile, and I felt that it would be exploitive to do that. And so it was very difficult for me to figure out the best way to get answers without exploiting him–without exploiting ourselves–because you have to put yourselves out there. I was also worried about identifying with any particular faction because I didn’t want people to say, you know, “what a crackpot.” There are people saying that anyway, and we’re trying to do this very carefully. Also, this is not just about Pat. This is a pattern of behavior that the military has. Pat worked hard in his life and he developed a persona, and he gave us a voice. And we have an opportunity to use that voice and maybe we can get answers for ourselves that also help some of the other families that are fearful they’ve been lied to. You seem like someone who has very much found a voice through this process, and yet you are described as a very private person. Are you someone who feels comfortable speaking publicly about this? I’m comfortable speaking publicly. I mean, I’m a teacher so I’m pretty comfortable. That hard part, even in terms of writing the book, is how much do you divulge to the reader without giving away too much of yourself. At the same time, in order for the reader to care what the government did, they have to care about Pat. And they have to understand the tragedy and the gross horror of losing someone in such a violent manner and then find out that people who you trusted to comfort you after his death and to tell you the truth–that they lied to you–is a huge betrayal. I mean, the most comforting presence at Pat’s memorial were the military people because we felt that they understand. General [Philip] Kensinger–we were so honored that he was there and it turns out that he knew that it was indeed a fratricide. So, you know, that’s very painful. And it was of course excruciatingly painful for Kevin because this was his chain of command. It seems the NFL has taken many opportunities to commemorate Pat, but they don’t want to get behind you. Do you think they want to have it both ways? I think they haven’t gone out of their way to help; they’ve exploited Pat, just like the military. I do believe that. I mean, they have a beautiful statue to him at Cardinal Stadium. I don’t know if that’s more for us or him; I feel like it’s more for them. It’s sad for me to say that, but I think it’s true. They haven’t really helped to try to find out what happened to Pat. Oh, absolutely. But there has been no effort to find out. You know, and the fact that players who played with him wanted to wear his number–they wouldn’t let them do that. It’s a minor thing I suppose, but at the same time I think it’s kind of telling. It’s like, “Okay, we had the jersey dedication, we did this, let’s move on.” I think that speaks a lot. If you could say something to the last two NFL commissioners Roger Goodell and Paul Tagliabue if they were here right now, what would that be? Well, I would say to them that they exploited Pat no differently than the military. You know, this is a young man who was quite unique. He was trying to do the right thing and it would be the right thing to try and find out what happened to him. What can people do who want to help? I would like people to definitely contact their local representatives and say that they would like Congress to push to find out who was responsible for the cover-up of Pat’s death. Who was responsible for trying to spin Jessica Lynch’s story? Pat’s death is a microcosm of this Administration in the last eight years; I feel it’s very symbolic of that. And I think the fact that they took this one individual that had a face–it’s one thing to take an anonymous soldier; they don’t know who it is, and it’s easy for them to turn their back on it. But Pat had a face, he had a voice, and they still used him like that. I think that’s outrageous! You know, soldiers enlist and they know going into this that they could be killed or wounded or damaged emotionally or mentally by their some of their experiences, but they don’t expect the military or government under which they serve to lie to their family and disrespect their service. The lie about Pat was not simply a lie to our family, it was definitely a lie to dupe the public; to deflect their attention away from the atrocities of Abu Ghraib, Fallujah, and of course they wanted people to disregard the president’s sad approval ratings, and the casualties. It’s really important for people to understand: this was done to deceive them.